Are you guilty of flushing items such as wet wipes down the toilet? I sure am up until a couple of years ago. Although I have been with my partner for over 5 years it was only up until a couple of years ago that I knew how badly wet wipes and other items could block pipes. Being a Mum of two and having wet wipes in the bathroom most of the time, it was always easier for me to just flush them down the toilet and I am sure a few other parents can agree too. United Utilities have done a 3PPromise Parent Pack to learn parents more about flushing items down the toilet. There are some interested facts in the pack such as it costs £10 million each year to unblock toilets and sewers. Just imagine how much could be saved and spent on something else if we didn't flush things down the toilet just because we just won't walk a few more steps to put it in the bin. A great way of remembering and learning your child to know what goes down the toilet is the P's. PPP stands for Pee, Poo and Toilet Paper. 1 in 6 parents have admitted that their child has flushed something down the toilet and 12% of kids like flushing down their Lego pieces. My girls have tried flushing many things down the toilet such as rubber bath letters, some toys and the most popular item they try and flush down the toilet is the cardboard of the toilet paper and did you know that 37% of kids do the same. Have a bin in the bathroom - This will make it easier instead of the thought of going downstairs to your next bin to throw whatever you have that's wanting to throw. Don't have wipes of flushable items in the bathroom - Maybe you could keep your wipes and any other items in your bedroom and out of the bathroom. 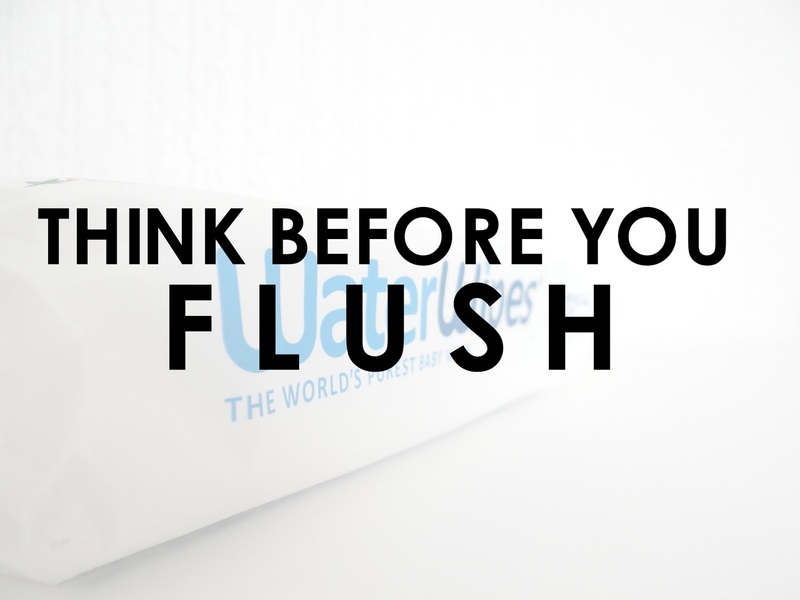 It is also advised not to even flush 'flushable wipes' down the toilet as it doesn't break up like tissue, so it still blocks pipes. United Utilities has a great parent pack which offer great facts and advice for parents. The pack also includes activities for children which can learn them what not to flush down the toilet. Their website also offer great resources, report, videos and photos. Have you ever flushed anything down the toilet?